The product I am sharing with you today is one I have used DAILY since college. 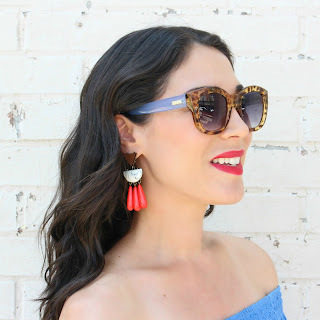 It is essential for my everyday routine and I take it with me everywhere (perfect size to fit in your purse!). 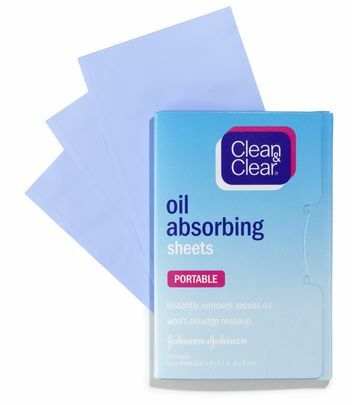 I'm talking about Clean & Clear Oil Absorbing Sheets. 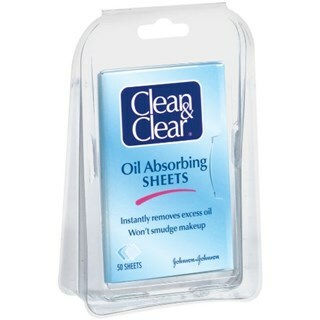 I discovered these oil removing sheets from a friend when I was in college. Before using these, I would apply powder (using a powder compact) when my skin was oily throughout the day. This is quite gross because I was constantly getting oil on my powder puff and then reusing it. Ew! The solution is these soft, silky oil absorbing sheets. These small packs contain 50 sheets that easily remove excess oil from your face. They work very well and do not smudge or remove make up. To use, simply blot/dab the sheet on the oily spots of your face. DO NOT RUB OR WIPE! The sheets will absorb the excess oil and become transparent. One pack costs anywhere from $4-$6. You can find them at your local grocery store or pharmacy in the face wash section. Most pharmacies (like CVS) have a store version that is a little cheaper, but work just as well. I try to buy them when they are on sale so keep an eye out for a deal (such as buy 1 get 1 50% off). I highly recommend this product! If you give them a try, let me know what you think! I need to keep a package of these in my purse since I have oily skin, too.